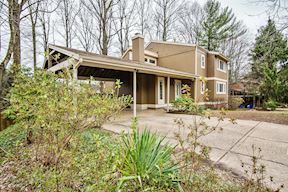 Nicely updated spacious Stonegate Contemporary with hardwoods on Main level, stairs and upper hall. 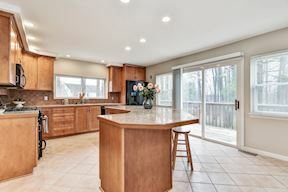 Grand kitchen with center island, ceramic floors, newer appliances, eat-in area, butler's prep space with beverage cooler, extra glass door cabinets. 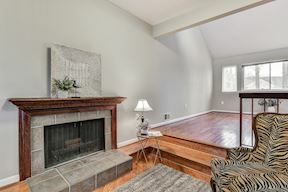 Step down sitting area perfect for enjoying the wood burning fireplace. 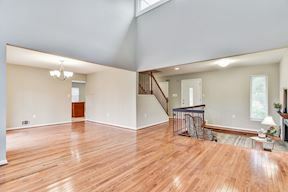 Fully finished lower level is great extra living space with new laminate flooring, large rec room, kitchenette with fridge, dishwasher, space for stove. 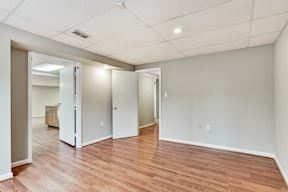 Extra bedroom and large walk-in closet. 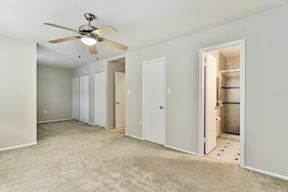 Laundry area in LL, cedar lined closet, under stair storage. 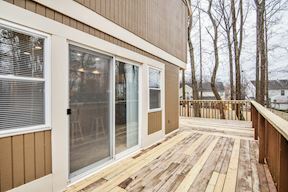 Enjoy outdoor entertaining with wrap-around, multi-level deck, all damaged floorboards replaced. 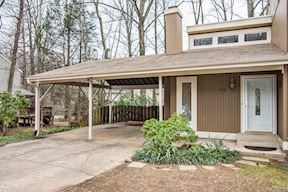 Carport parking with room for 2 cars, covered walkway and pretty azalea gardens to enjoy in the spring. 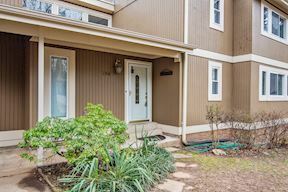 Welcome home to Stonegate Drive. 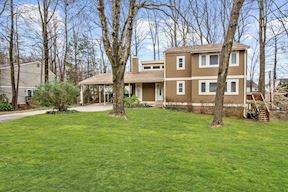 Covered walk to front entrance. 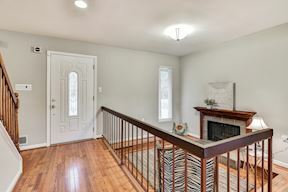 Entry to hall, hardwoods through main level living areas. 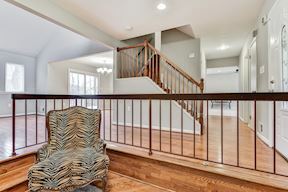 Cozy step down sitting area, wood burning FP with mantel. 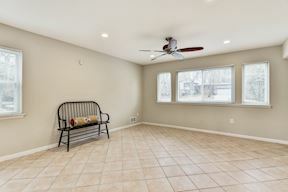 Vaulted ceiling in living room, high windows for added light. Updated Ben Moore palette throughout. 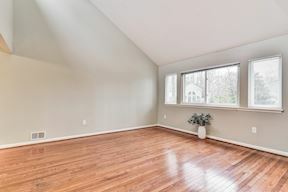 Living room with high ceilings, replaced vinyl windows. 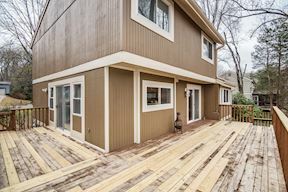 DR sliders for deck access, perfect entertaining flow. 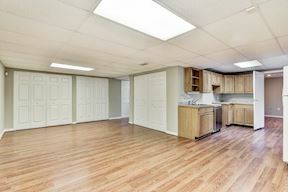 Spacious separate dining room, easy access to kitchen. 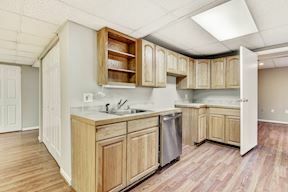 Updated kitchen with wood cabinets, ceramic tile floor, center island, newer appliances. 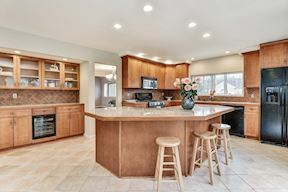 Large center island perfect for cooking, bench seating. 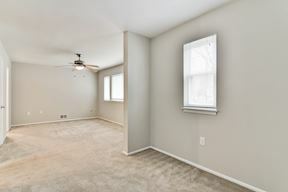 Large eat-in area great for dining, in home office space. 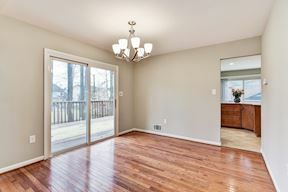 Shining marble counter space, nice picture window faces back. 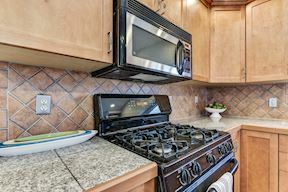 Tile backsplash, built-in microwave and gas stove cooking. 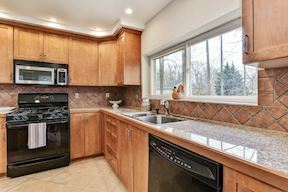 Food prep area with glass front cabs, beverage fridge. 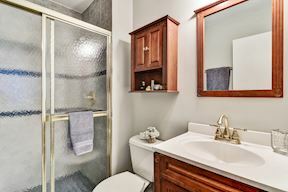 Half bath on main off hallway. 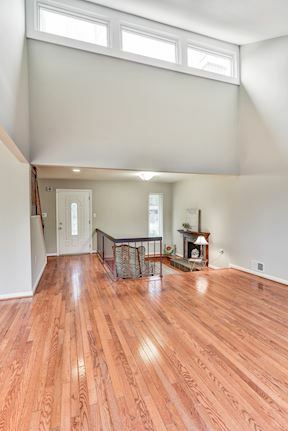 Upper level Master with large windows, new fan. 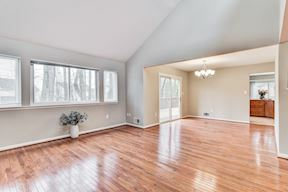 Master with extra sitting room, walk-in closet. 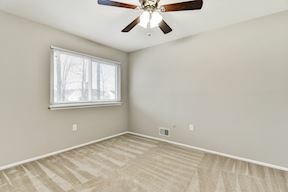 Large Master BR space, freshly cleaned carpet. 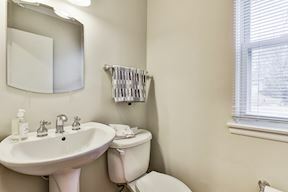 Perfect place to rest, all in soothing decorator color. 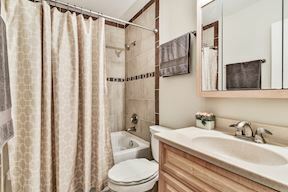 Master bath updated with ceramic tile, step-in shower, glass doors. 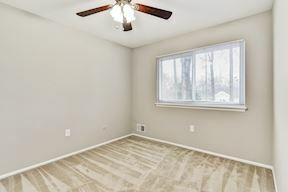 Bedroom 2, upper level, carpet, new fan. Bedroom 3, upper level, generous closet space. 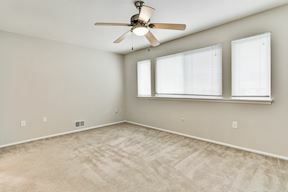 Bedroom 3, all carpets cleaned. UL hall bath, updated with ceramic, tub with tile inlays, newer vanity, lighting. 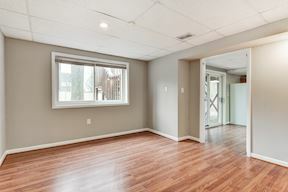 Large LL rec room, new laminate floors throughout. 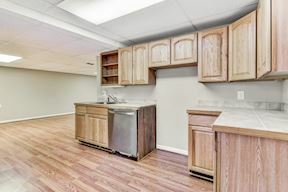 Great second kitchen space, dishwasher, sink, fridge, space for stove. 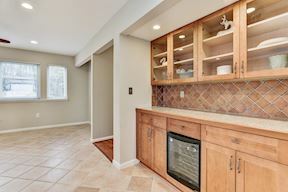 Wood cabinets in LL kitchen area. 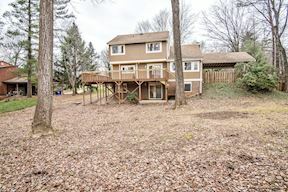 LL sliders walk out level to back deck space. 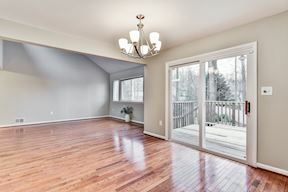 Windows and sliders provide natural light. 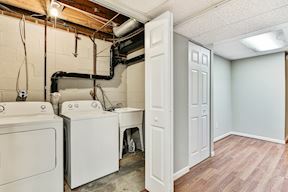 Laundry room in LL, cedar lined closet. 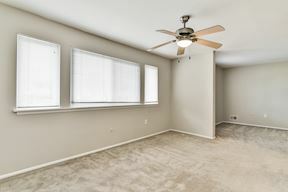 Extra bedroom for those extra guests. 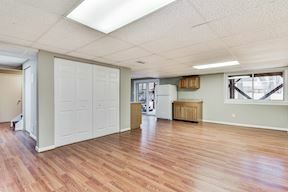 Large room for sleeping, storage, office. 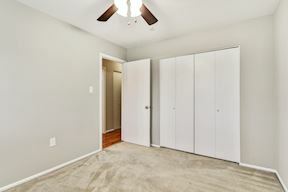 Walk-in closet, storage by LL bedroom. 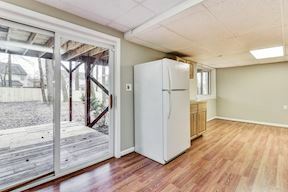 Wrap around deck connects kitchen to back yard. 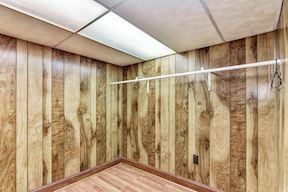 Most floor boards replaced on deck. 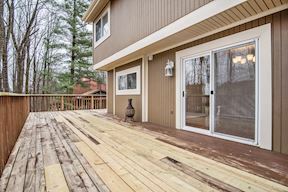 Deck provides perfect outdoor entertaining space. 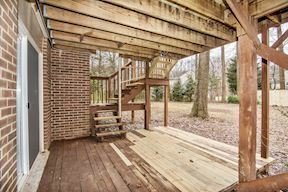 Lower level deck off sliders for extra backyard space. Concrete drive and plenty of parking area. 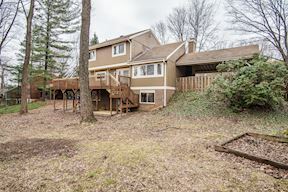 Rear yard, level and private. 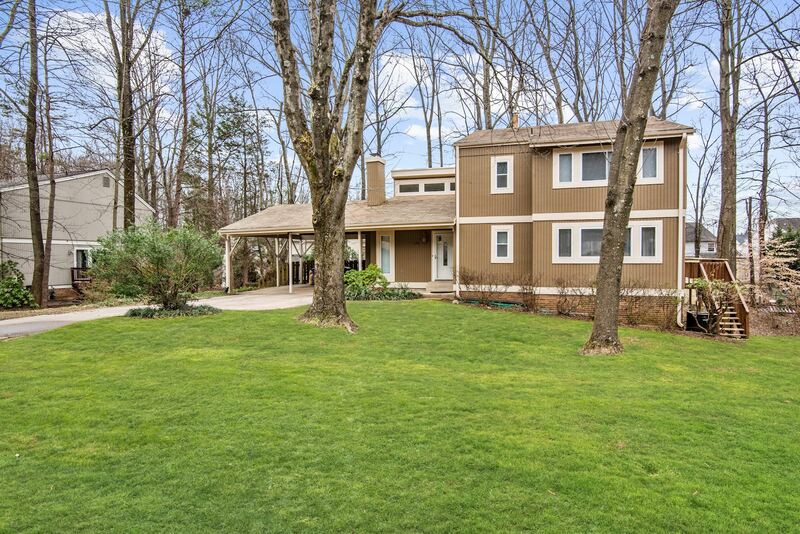 Large .36 acre lot provides great back yard.